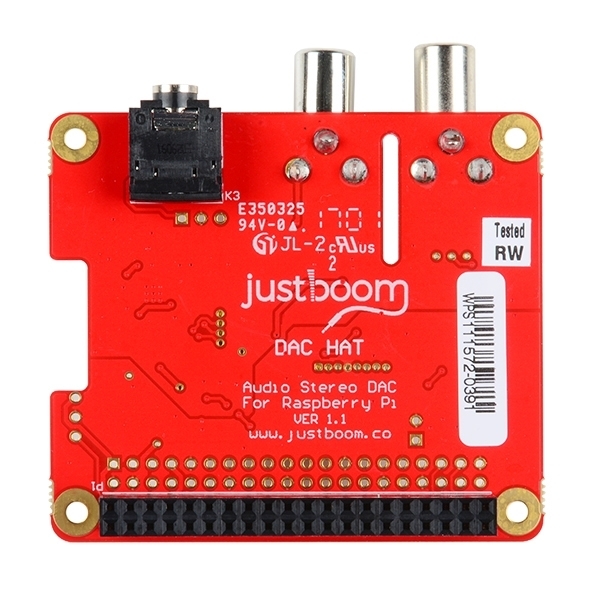 The JustBoom DAC HAT is a plug-and-play, high-resolution, digital-to-analog converter for the Raspberry Pi. 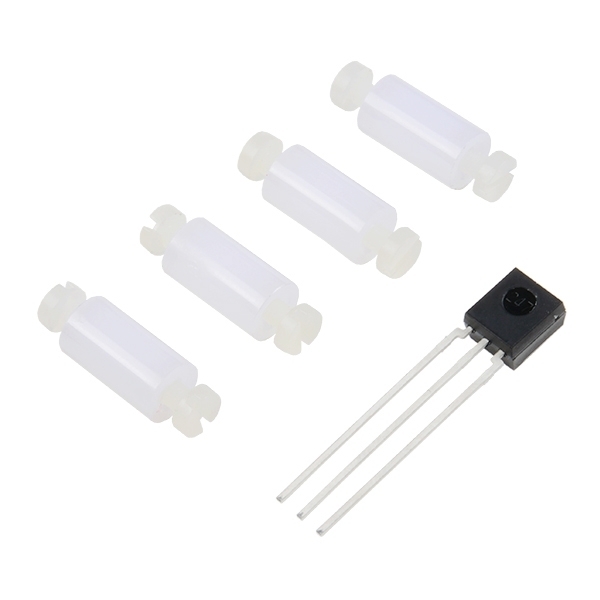 Simply stack the plug-and-play add-on board (HAT) onto your Raspberry Pi A+, B+, 2B or the new 3B, and it will be ready to use immediately. 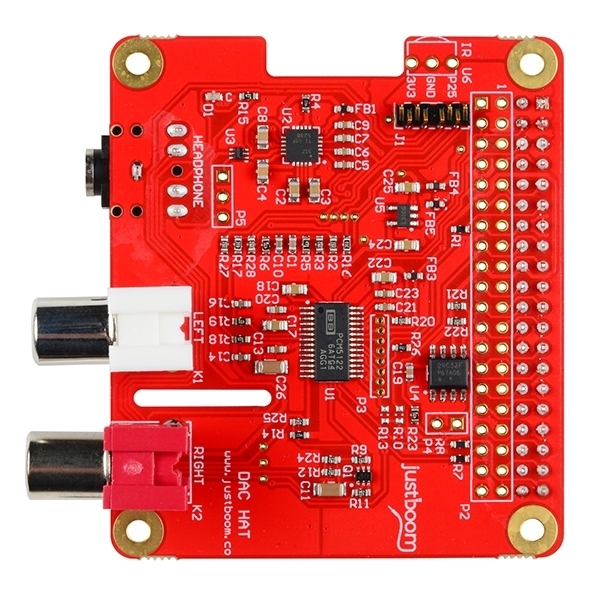 JustBoom designed the Raspberry Pi DAC HAT to be simple to install and use. With no soldering required and all the mounting hardware already provided, this HAT is suitable for both beginners and seasoned professionals alike. 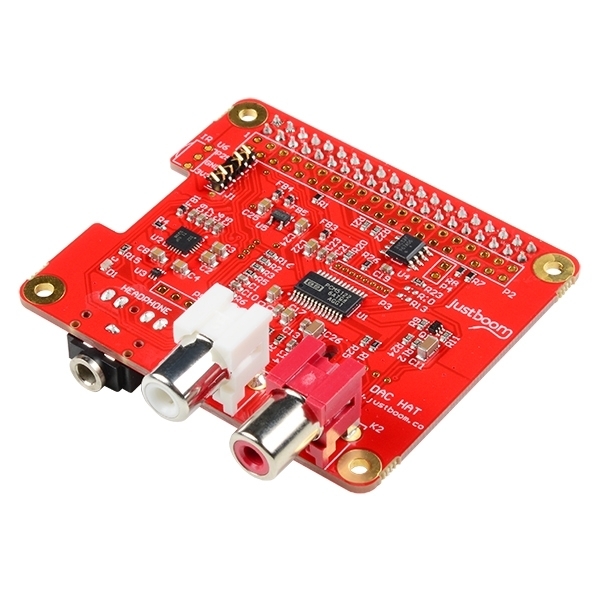 Just connect your Raspberry Pi DAC HAT to a set of powered speakers or an audio amplifier, and you can be up and running quickly, enjoying flawless, high-quality audio playback within minutes. Also included is an optional IR receiver to allow remote control operation of your Raspberry Pi. The DAC HAT features a 384kHz/32-bit DAC chip with hardware volume mixing as well as a 138mW headphone amplifier (note that the Raspberry Pi is only capable of a 192kHz/32-bit output). Outputs are line level over RCA and headphone amplified over 3.5mm jack cable. The HAT uses the I2S interface for its audio input, which reduces CPU load on the Raspberry Pi compared with USB solutions. It is also powered directly from the GPIO header, so no extra cables or power supplies are required to connect to the Raspberry Pi. 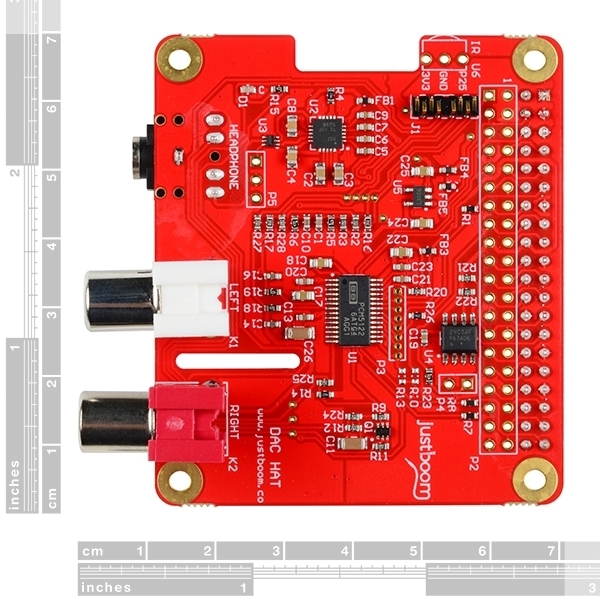 All of the Raspberry Pi GPIO pins are still accessible on our Raspberry Pi DAC HAT for easy customization of your project –– add additional sensors, buttons, LEDs, rotary encoders or anything your heart desires. Compatible with the JustBoom Amp, which can easily stack on top of the DAC HAT to add amplification and extra outputs!